With our vintage AMEK TAC Scorpion 24-16-2 British analogue mixing console at the heart of the studio, we're able to make your recordings sound like you - not the standard generic digital production you currently hear day in day out. Simply put, our aim is to make your instruments that are played by you, sound like you. Our rack space is dedicated to a choice selection of outboard gear, while our custom-specification PC takes care of recording duties. We use ProTools or Cubase for our main recording duties and Wavelab for mastering & CD creation. Here at SoundARC, we have the skills and facilities to write, program, record, mix, remix and master anything from personal projects to commercial briefs - from the dirty demo to the polished production album! Our extensive library of wav samples is at your disposal to help both inspire you with your creations and embellish your recordings. SoundARC can be booked - with or without engineer - by the half day (4 hours), full day (8 hours), or week. We offer 4 hour (half day) and 8 hour (full day) recording sessions. How you spend that time is totally up to you! See below for a list of the different types of session we offer, along with audio examples. Available as a £20 add-on to the cost of a rehearsal, we can film 45 minutes of your rehearsal for you to take away at the end. Ideal for developing song ideas, lyric writing or just to keep a record of how your live set is sounding. Please let us know if you would like this option when booking rehearsal time with us. Does exactly what it says on the tin - you set up in the live room as you would a rehearsal, we mic everything up and hit record! Typically you can expect to lay down between 3 and 6 tracks in 4 hours. There are no overdubs or fixes, so with this type of recording it really pays to be well rehearsed and on top form! This is a no-frills (yet still high quality), cost effective way of making a demo and perfect for capturing a band's raw sound. 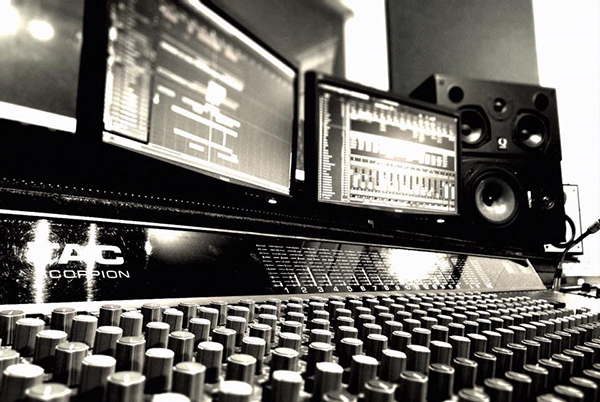 Our standard studio recording sessions offer a cost-effective way of making a band recording. Whilst the backline is recorded live (as with our live demos), time is also set aside for guitar and vocal overdubs, giving the finished product added clarity and definition. This is a great mid-range recording option that has a little more finesse than our live demos, yet is still great value for money! Typically you can expect to lay between 3 and 6 tracks in a full day. This is the crème de la crème à la SoundARC and includes the full works - total isolation of instruments (utilising all of our live rooms), the opportunity to fix playing errors with both punch-ins and edits (to achieve that 'perfect' take) and full access to all of our plugin effects, virtual instruments and sample libraries, allowing the creation of just about any sound imaginable! With our Full Studio Recording sessions, the sky really is the limit! Our producers can turn your raw song ideas into commercial release quality productions, or maybe just help add that bit of extra 'sheen' to an already polished track. Feel free to have as much or as little input into the production process as you want - it's all good with us! Geared specifically to solo singer/songwriters, or key/guitar and vocal duets, our Solo Artist or Duo package gives you plenty of time to record, edit, mix, and master your tracks, with as much or as little input from you as you want! Expect to record between 2 and 6 songs in a full (8 hour) day. Our Weekender Deal is a popular package giving you 20 hours of Full Studio Recording time (usually split over 3 days), and is an ideal way for bands and solo musicians to create something a little more refined than your average demo recording. The same options are open as with our Full Studio Recording sessions; punch-ins and edits come as standard, as does access to our plugin effects, virtual instruments and sample libraries. For the best quality recording possible, we recommend tracking no more than 2 songs within the allocated time. While it's possible to record 3 or even 4 songs, we feel that it's better to dedicate more time to fewer tracks - a definite case of 'less is more'. The ultimate for those wishing to dedicate serious time to their art and produce recordings of both quality and distinction. Our Studio Lock-ins can be booked by the week or month, and allow time for both preproduction and experimentation while tracking - meaning that you can be sure that your music is the very best it can be, every step of the way.